Since latest tech inventions are reshaping our personal and professional lives day by day, cloud technology has brought thrilling new opportunities for small businesses to enter in the global market to acquire more customers and clients for their services or products. There is a large number of products and services that provide storage, software, and infrastructure through the cloud and can reduce the overall overheads for small businesses and can also enhance operational efficiency ultimately. Cloud technology is transforming the way small businesses run and manage their operations by providing the ability for massive information processing tasks for businesses at large and small scales. Countless ways small businesses and organizations are using cloud computing to execute their operations more efficiently than ever. Investing in the cloud computing can be a great way for small business owners to save resources, time and efforts while executing several business operations and processes. Here are few reasons why small businesses should migrate to cloud technology for enhanced performance and boosted sales. Moving a small business to the cloud can save a lot of business money for other productive tasks and things. Investing in the latest cloud technology means no more need to spend business money on expensive things like purchase of physical processors, databases and storage etc. when you use cloud computing for your small business or company, the physical servers and databases storing your business information and arrangement are somewhere else that you don’t need to care of. In results, a business can experience an ultimate decrease in overall business overheads in terms of power usage, storage, and IT support etc. 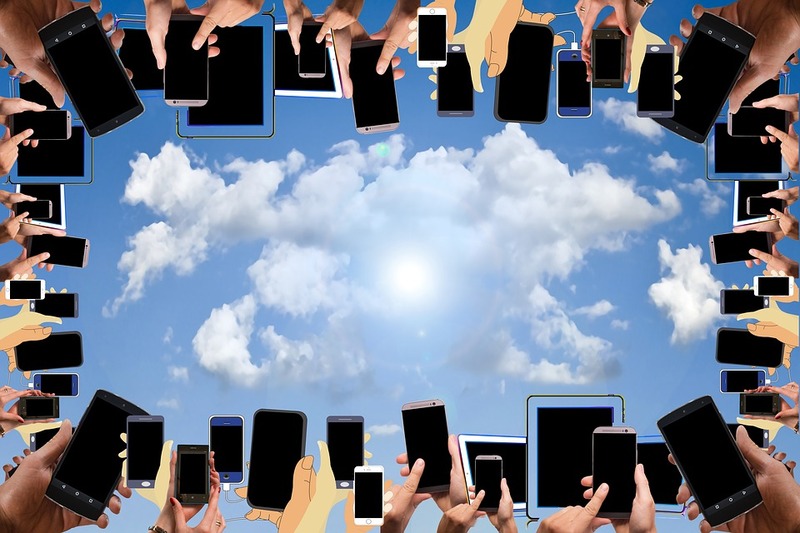 Collaboration is one of the great benefits of cloud computing for small businesses because it enables the employees to gain access to the business data and information from everywhere even using a mobile device like a smartphone or tablet. In this way, they can collaborate effectively to get the things done efficiently than ever before. Google drive is the live example of cloud computing tools used by small businesses and companies where they can upload business data and files for easy retrieval. Employees and managers will also be able to modify files and information in real time to get better outcomes. On another hand, small business owners can also set limits for employees to the business data access in order to keep the data and information in safe hands. Access to employee performance reports and files also enables the business owners to track and manage employee performance accordingly even without leaving the office. Flexibility allows business employees and other staff to get more done in less time. When all the business details, information and data is stored on the cloud, they will be able to access the required details and information conveniently without facing the barriers of location and time. They can get work-related files and information on their finger time by using own mobile devices. Gone are the days when employees walk from the workplace to the computer desk for getting the necessary files or information. It is one of the biggest reasons small businesses should invest in cloud computing. When a business uses cloud technology to host business data and files, they create a backup for all the data and business files that can easily be recovered in case of a disaster or an unforeseen event. If your office computer is not working anymore, then there is no need to worry about the data stored in it because cloud computing vendors back your business data up regularly to keep it safe for easy later access. Whether you are using the software as a solution or a business app to manage employee database efficiently, you can effectively integrate it with cloud to make things easier and efficient. In this way, you will be able to access the business data and information easily on other business software solutions and apps to streamline the business processes than ever before.